Inverglen Guest House, in Inverness, has become one of the latest businesses in Scotland to gain national recognition for providing commitment to the highest levels of customer service through the award of WorldHost Recognised Business status. 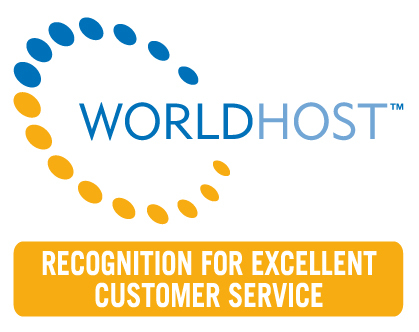 WorldHost is a suite of world-class customer service training programmes, and to achieve WorldHost Recognised Business Status a business must have at least 50% of its front-line staff successfully complete this training programme. Each business will have signed a commitment to delivering excellent customer service. Inverglen Guest House is passionate about the standards of service we provide, and to have this officially recognised by achieving WorldHost Recognised Business status is a fantastic achievement. When our guests see the WorldHost logo displayed in our business they’ll know that we have made a commitment to delivering an exceptional experience for them. The WorldHost initiative aims to build on the legacy of world-class events like the 2014 Commonwealth Games and Ryder Cup, and transforms customer service standards across Scotland’s visitor economy.